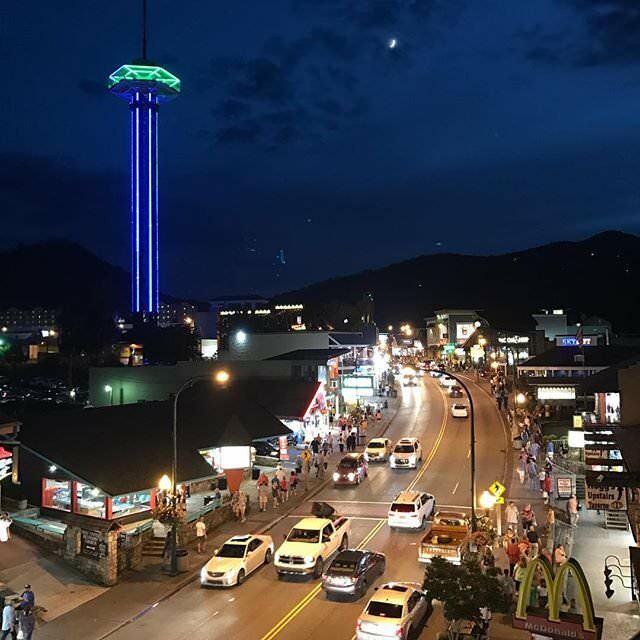 Summer in Gatlinburg is a blast, but the fun doesn’t end as the weather grows cold. If anything, the city gets even busier in October and November. Between harvest festivals and Halloween celebrations, there is always something fun to do or impressive to see. 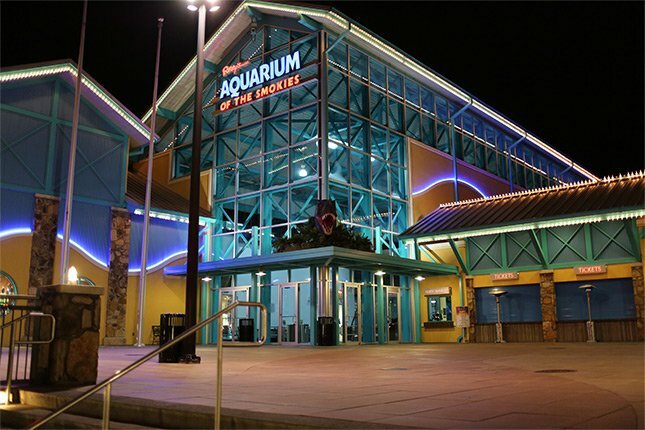 Take a stroll down the Parkway or hit up the Gatlinburg Convention Center to see what all the hype is about. 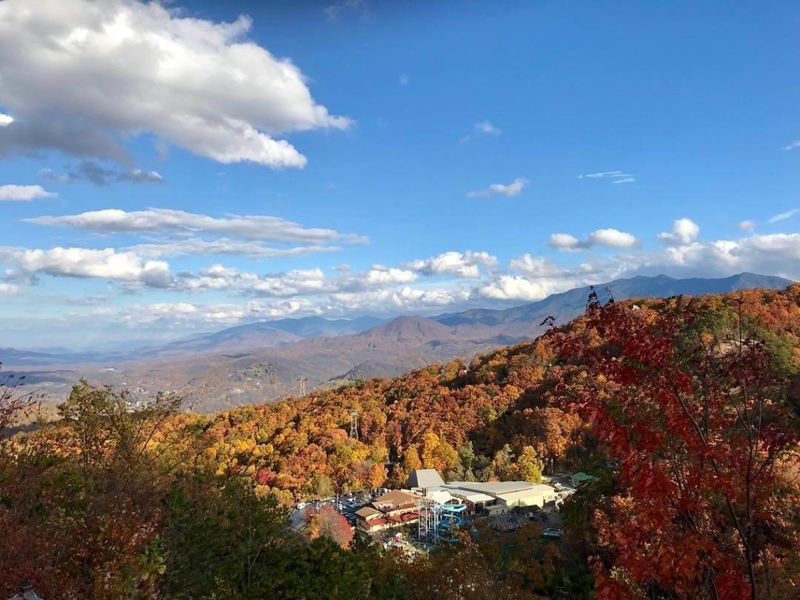 Beloved among Gatlinburg residents and tourists alike, the annual Smoky Mountain Harvest Festival has been expanded this year to provide opportunities for celebrating the harvest well into November. 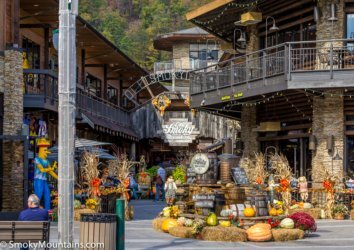 The event draws attention to the breathtaking beauty that fall colors bring to Gatlinburg, with local businesses situated along the Parkway using autumn-themed decor to further brighten their already cheery storefronts. 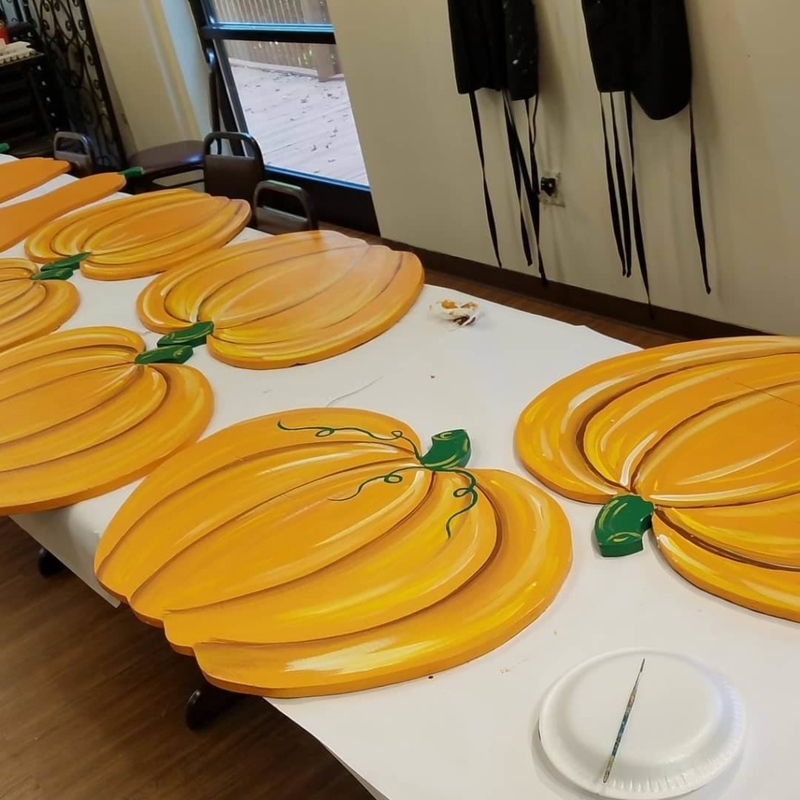 Celebrating the Smoky Mountain Harvest Festival is simple; just take a stroll along the Parkway and observe the extra efforts locals have made to create a festive atmosphere. You’ll see bales of hay, pumpkins, and best of all, three-dimensional scarecrows — perfect for capturing cute photos. This is a wonderful opportunity to enjoy a leisurely day out and about; there are no schedule limitations. Explore the Parkway at your own pace as you embrace the beauty of autumn in the Smokies. Hit up the Fall Gatlinburg Craftsmen’s Fair to see local geniuses at work. The event attracts a vast range of talented vendors who display and sell stamped metal signs, clay flowers, woodcarvings, stained glass, and so much more. Get a head start on holiday season shopping or stop by to catch country, gospel, or bluegrass performances at noon, 2 pm, or 4 pm. 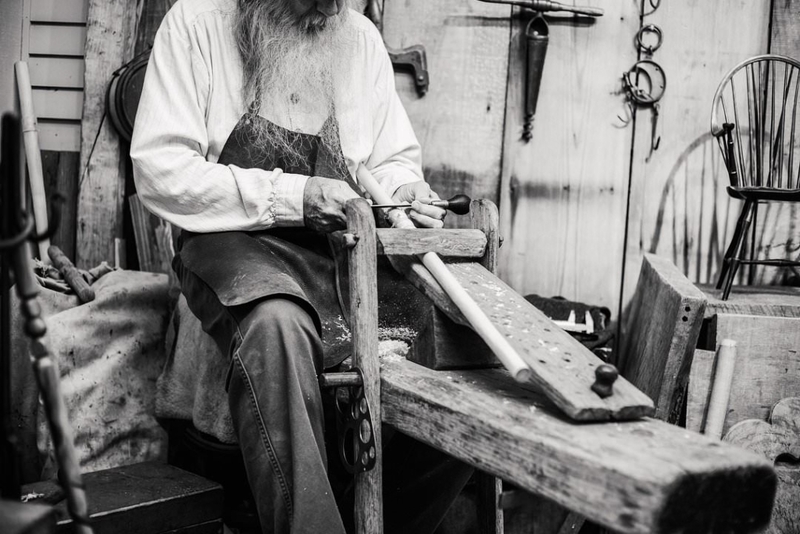 While the Fall Gatlinburg Craftsmen’s Fair is technically part of the greater Smoky Mountain Harvest Festival, it doesn’t last for the festival’s duration. Still, three weeks allow plenty of opportunities to witness the finest works of art from the Gatlinburg area and beyond. One short visit and you’ll quickly see why the fair has been recognized as one of the best by Sunshine Artist Magazine and the Southeast Tourism Society. You don’t need to wear your dirndl or lederhosen to celebrate the best of German culture, but a love of beer and a hearty “Jawohl!” is always appreciated. Ober’s take on Oktoberfest resembles the Munich version in some ways, but adds a spectacular view you’ll only find in the Smoky Mountains. If you’re 21 or older, you’re welcome to visit Ober’s beer garden. Invest in a beer card so you can sample the festival’s full range of offerings. If, however, you prefer one beer in particular, there’s no better way to drink it than in a boot glass. As you knock back your favorite brews, leave room for Ober’s mouthwatering food. Most options are German-inspired; whether you favor schnitzel, pretzels, or sauerkraut, you’ll have no trouble finding a tasty treat to enjoy as you take in Ober’s festive vibes. Set aside a little time to enjoy a performance from the Bavarian Funmakers Oompah Band. The band plays every two hours beginning at 1 pm during the weekend, and at least twice per day during the week. Grab your seat at least half an hour before the performance; this in-demand musical group is capable of attracting a huge crowd. After you’ve belted out your favorite German tunes — and sampled your fill of beer and schnitzel — you’re free to check out everything else that makes Ober a great getaway: the arcade, the mini golf course, and of course, the scenic chairlift. 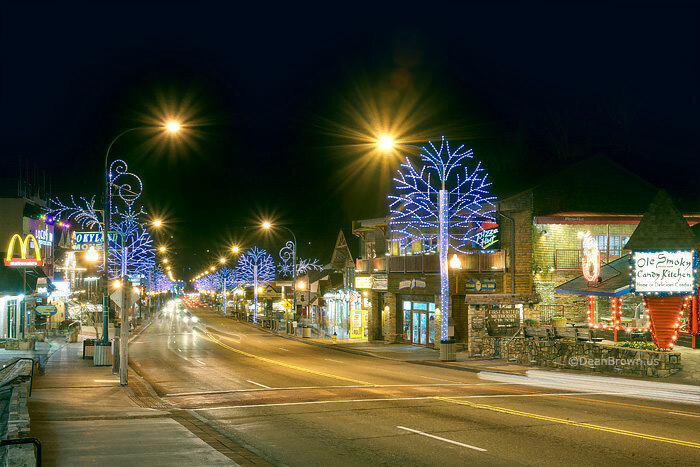 Celebrate Halloween by the light of day in the heart of Gatlinburg. This family-friendly event is a hit among local residents and travelers alike. 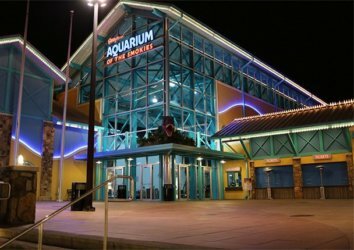 Wear your prized Halloween costume and head to Ripley’s Aquarium of the Smokies Plaza to see costumed characters and dozens of pumpkins. 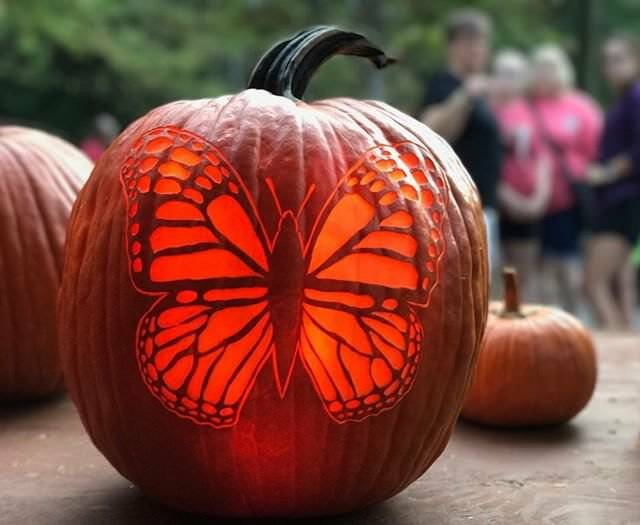 Representatives from the Gatlinburg Police Department and the Gatlinburg Fire Department will be on hand to provide tips about trick-or-treating and fire safety. The main attraction for the kiddos, of course, is candy — and they won’t leave disappointed. Scheduled from 1 to 5 pm, the event leaves your evening free for traditional trick-or-treating or nighttime parties. Early November might not exactly feel like winter in the Smokies, but cool air and events such as this remind us that it’s just around the corner. 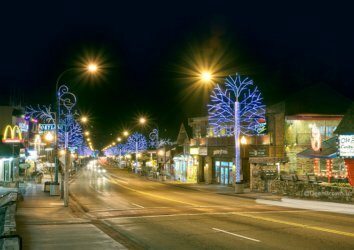 If nothing else, the Winter Magic Kickoff brings a little extra light to Gatlinburg as the days grow shorter; city dignitaries conduct a ceremonial lighting of over three million sparkling lights throughout Gatlinburg’s downtown district. There’s way more to this event than the lighting, although that is worth attending in and of itself. 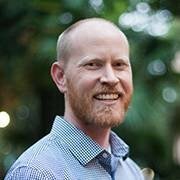 If you’re like many attendees, however, you’re mostly interested in the chili cookoff. While the street event and lighting are free of charge, chili tasting tickets cost $10. With so many award-winning options available, however, you’re bound to get your money’s worth. Whether you favor mild recipes or pride yourself on your adventurousness, you’ll find something to love. If you just can’t take the commotion of Black Friday shopping, you’ll find a great alternative at the Gatlinburg Convention Center: an arts and crafts show featuring some of the nation’s most talented artisans. Watch in astonishment as these passionate individuals create beautiful works of art, using techniques handed down over several generations. Support Gatlinburg’s craft community as you get a head start on Christmas shopping. The gifts you buy at this event are far more special than anything you’ll find at a conventional mall or big-box store. 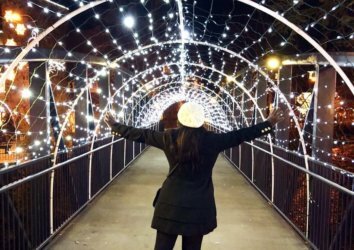 Beginning in November and extending through January, the Gatlinburg Winter Magic Trolley Ride of Lights brings a sense of wonder to the Parkway when the weather is cold and the nights are long. Embrace the season’s festive spirit from the comfort of a trolley, which meanders through several bright displays. As you relax in the heated and enclosed trolley, you’ll observe lighted snowmen, a rocking horse, celebrating children, and even animals indigenous to the Smoky Mountains. Trolleys depart the Mass Transit Center at 6:30, 7:30, and 8:30 each evening, except Christmas Eve and Christmas Day.